H. E. Nelson Rolihlahla Mandela Former President of South Africa. A Global Inspiration For Peace And Freedom. Only when there is peace in men's hearts can there be peace on the land. For the heart is the wellspring from which hate, envy, anger and fear result in conflict and war that has ravaged this planet for thousands of years. But there is always hope so long as there are those who sue for peace with all their hearts and all their might. 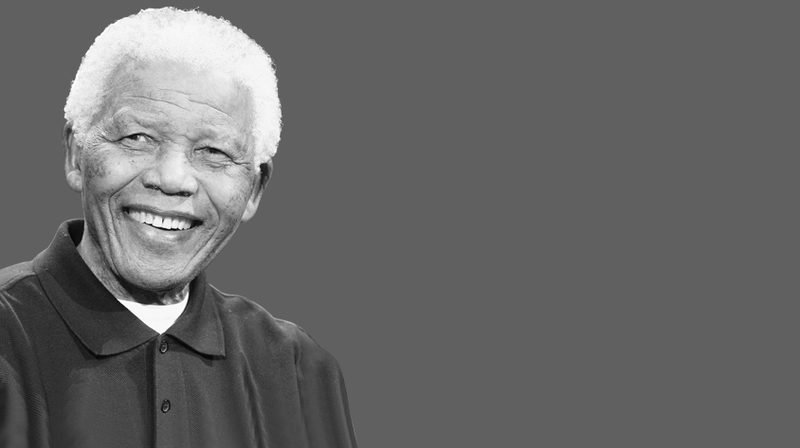 Among the most outstanding individuals who made a significant contribution to peace and freedom in the 20th century, considered the world's most brutal in history, is South Africa's former President H. E. Nelson Mandela. His lifetime struggle to bring freedom to his people and the man- ner in which he achieved it continues to inspire people across the world. The Mahathir Award for Global Peace considers it an honour to present the Lifetime Campaigner for Peace and Freedom recognition to HE Nelson R. Mandela who becomes the first person to receive recognition under the Mahathir Award for Global Peace. Dialogue. Moderation. Negotiation. Mediation. In these simple words beats the heart of peace everlasting. They are words that describe the state of an evolved civilization. And, there can be no inspiring role model for these attributes than H. E. Nelson Rolihlahla Mandela whose power of persuasion brought freedom to a people shackled by the barbaric policy of Apartheid. His fight for the freedom of his people is renowned, a tale etched in the hearts of every black and coloured South African. A story written into the history books, as the one who led the African National Congress, to fight against the cruel practice of Apartheid. His is no ordinary tale of a freedom fighter, for he used no weapons except the purity of his intention and the potency of his words to melt the hearts of those who had imprisoned him for 27 years and achieved the impossible. His battle was waged within the secret chambers of his heart to expunge hatred, hostility and bitterness for his captors. And it is for these very qualities that Nelson Mandela is revered by an incredulous world. Born 95 years ago into a royal lineage in South Africa's Eastern Cape, he carried the genes of leadership in his blood. He was the son of Chief Henry Mandela of the Thembu Tribe. Upon the death of his father he was taken into the care of the Regent of the Thembu people. His upbringing and exposure to leadership built in him an appreciation for the traditions of his people. When Apartheid was imposed in 1948 he was appalled by the brutality meted out on his people reducing them to mere slaves in their own land. The young Mandela resisted and fought by every means he knew. The price he paid was his long imprisonment, from 1964 to 1990, that snatched away 27 years of his life. While in prison he refused to succumb to victimization and continued to resist in his own way. Stories that leaked out of his defiance spurred others to continue their fight for freedom. But it was as a prisoner that Nelson Mandela performed his greatest deed of patriotism. He negotiated successfully for the freedom of his people. He walked out in 1990 to begin the arduous task of reconciliation, rebuilding and renewing as South Africa prepared to build a new future as a free nation. Among the most revered statesmen in the world today Nelson Mandela continued to strive to correct injustice wherever he found it. Since he stepped down as South Africa's first black President in 1999 he has been relentless in his pursuit to build a stable Africa. He has been tireless in resolving conflicts by brokering peace between warring factions.He has been determined in working to protect the environment. He has been unyielding in his quest to reduce poverty. He has been untiring in his efforts to resolve conflicts by brokering peace between people. It is through the examples set by a leader such as Nelson Mandela that the leaders of today can shape the future of Africa. It is through the leadership of Nelson Mandela that South Africa stands as the leading nation of the African continent, respected by the world. One of the greatest examples of what a man of peace can achieve through sheer will alone, the Mahathir Award For Global Peace is privileged to bestow upon HE Nelson Rolihlahla Mandela the recognition of Lifetime Campaigner For Global Peace. Tun Dr Mahathir bin Mohamad A lifetime devoted to promoting global peace. A fearless spirit using his incisive and analytical mind to rally the world for peace. As Malaysia's fourth Prime Minister he charted a safe passage for the nation of his birth through both calm and turbulent waters for 22 years, a period that covered half of its life as a sovereign nation. He literally changed the landscape of the country, positioning it in the global marketplace as an economic powerhouse. He worked on the psyche of his people building their confidence, convincing them they stood next to none in being the best at what they do. In many countries of the developing world he continues to inspire other leaders, for showing them the way to rebuild their economies and most of all for giving them the lead to stand up for their views without fear. 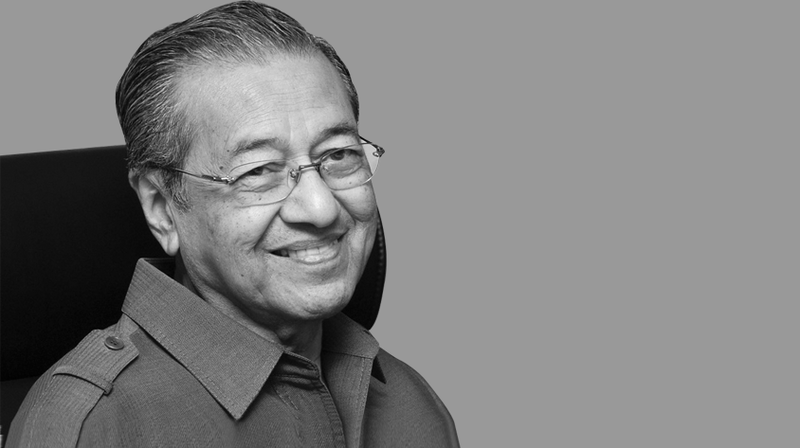 From then till now Tun Dr Mahathir is seen as the voice that speaks for the developing world, a voice that can be unrelenting in its criticism of unfair practices by wealthy nations that impoverish countries struggling to build their economies. Since his retirement as Prime Minister in 2003 he has stepped up his efforts to fight for peace, using his blog, publishing his thoughts, speaking at conferences and appearing in talk shows to put forward views others fear to articulate. He has never stopped his endeavours to prevent nuclear proliferation and continues to travel the world to promote peace. His Perdana Global Peace Organisation continues to organize events to widely promote the idea that war is a criminal act. In 2008 he urged the world's 1.3 billion Muslims to boycott Dutch products following the release of the anti-Islam movie Fitna by the Dutch politician Geert Wilders. He also urged all Muslims to boycott the anti-Islam documentary Islam: What the West Needs to Know and called for the arrest of film directors Gregory Davis and Bryan Daly. In February 2007, four non-governmental organizations, the Sarajevo School of Science and Technology, the Congress of Bosniak Intellectuals, and two Christian organizations, the Serb Civil Council and the Croat National Council, nominated Tun Mahathir for the 2007 Nobel Peace Prize for his work during the conflict. Against war he has been the most outspoken and also the most proactive. Through the Perdana Global Peace Foundation he has enabled many to present their views on "war crimes" and now he has moved to the next level of creating the mechanisms to condemn these acts. In 2007 he set up the Kuala Lumpur War Crimes Commission to focus on victims of abuse in Iraq, Lebanon and the Palestinian territories. The Commission, made up of Tun Dr Mahathir and five Malaysian lawyers, provided the avenue for investigation into complaints to decide whether they merit being tried by the Kuala Lumpur War Crimes Tribunal, also set up by Tun Mahathir and comprising law specialists and former judges. The Mahathir Global Peace Foundation considers it a privilege and an honour to bestow this Lifetime Campaigner Award for Global Peace upon Tun Dr Mahathir bin Mohamad in recognition of his fearlessness in relentlessly pursuing an end to all conflicts and wars and his single-minded dedication to the preservation of global peace by initiating actions aimed at protecting the interests of all peace-loving peoples of the world, regardless of race, creed and nationality.